Practitioners have developed and refined Chinese massage, including the tui na and zhi ya traditions, for more than 4,000 years. These styles share similar techniques with Western massage but also take a Chinese medicine approach. You can find Chinese massage practitioners who specialize in more physical or more energetic healing modalities (depending on their particular type of training) to suit your unique needs and situation. Traditional Chinese medicine practitioners say body energy must continuously flow to prevent stress and disease. 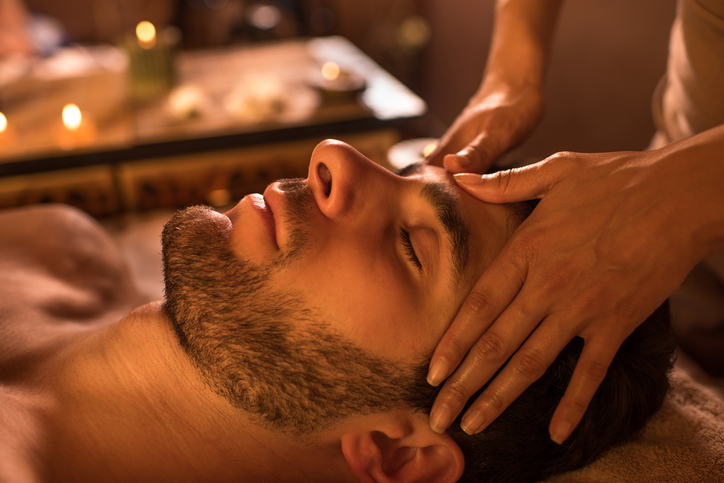 Over many millennia, these therapists have developed a variety of related bodywork therapies, including acupuncture, acupressure, and Chinese massage. Traditional Chinese healers manipulate the meridian system (inner energy points and pathways) to encourage the flow of “qi” (body energy) and blood throughout the body. Not only does “qi” flow through bodies, but the belief is that it also animates the entire world. Practitioners balance their clients’ “qi” by clearing energy pathways called jing luo of blockages that cause pain and disease. Chinese massage practitioners identify pathways with limited flow and use hand pressure to restore balance and energy circulation. People in the West may refer to Chinese massage as tui na. However, this is only one of two main styles of traditional Chinese bodywork. Much like Western massage, tui na involves pushing, kneading, and stretching muscles. Zhi ya practitioners, however, use pinching and pressing techniques similar to acupressure, reflexology, and qigong. Both tui na and zhi ya practitioners use a variety of shou fa (hand techniques) that may either stimulate (yang) or sedate (yin) the patient. Chinese massage practitioners try to balance the yin and yang energies to encourage health and lifestyle benefits. Because children have fewer physical and emotional barriers to care, xiao er tui na (Chinese pediatric massage) practitioners find their qi easier to treat. Xiao er tui na therapists often treat kids more quickly than adults, use a different system of acupoints, and typically use massage oils. Experts have found Chinese massage improves children’s health in many ways. For example, one researcher discovered kids with cerebral palsy benefited significantly from a combination of this technique and music therapy. Chinese massage practitioners provided pinching, footplate, and segmental massage along with soothing background music to participants. The researcher found significant, measurable differences in gross motor function, range of motion, and spasm control in participants. Both tui na and zhi ya sessions typically last more than a half hour and can take up to an hour or more. Talk with your therapist before the session to establish appropriate communication and trust. It is advised to first discuss your health history and goals, and it may also be beneficial to find out which techniques your practitioner will use. Your practitioner will allow you privacy to disrobe and drape a sheet over yourself before your session. You always have the option to wear what you are most comfortable in during a session, pause or end your massage at any point, and ask for changes of music and scent. Chinese massage practitioners may be more likely than other massage therapists to encourage talking during your massage. Not only does this provide them with feedback and increase your comfort, it may also help you release emotions that arise during the session. Your Chinese massage therapist will likely work on your jin. This soft tissue connects the body and can affect the flow of chi. Practitioners also typically work on xue (acupoints), which connect the body’s various organs via the meridian system. In Chinese medicine, the meridian system is a distribution network that resembles a web and links the body’s various parts together. Some Chinese massage techniques bear similarities to Western massage, like pressing, stretching, squeezing, pushing, and kneading. However, your practitioner may also knead, dig, knuckle, and gently pluck your soft tissue. Your practitioner may even employ hammering and vibrating methods, or even walk on your back. Chinese massage, with its wide range of treatments, thousands of years of tradition, and a unique set of techniques and approaches, can offer the benefit of improved health and an overall sense of greater well-being to many.